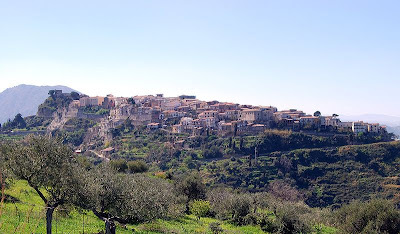 Castroreale (Sicilian: Castruriali) is a village in the Province of Messina of Sicily, southern Italy. It has around 2,702 inhabitants but over 80 churches, and is architecturally interesting, with some houses dating to the 13th century. It is located 8.5 km from Barcellona Pozzo di Gotto and 30 km from Messina.It has a tower, last remain of a castle, built by Frederick II of Aragon in 1324. The name Castroreale comes from Latin, and means "royal fortress".